Four All Ice Cream makes some of the best ice cream around. Conveniently, or dangerously, they're located right next store to Globe Studios, which is where Bearface Design operates out of. 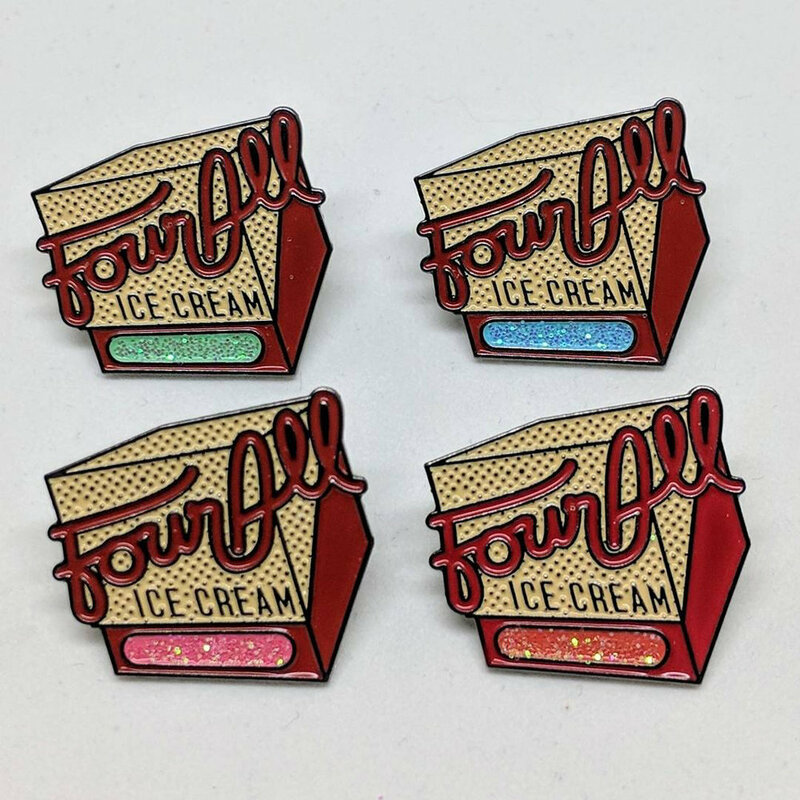 Using Four All's logo, and based on their iconic ice cream cube (both designed by the awesome Him & Her) we created an illustration that we had made into enamel pins, and printed on shirts.